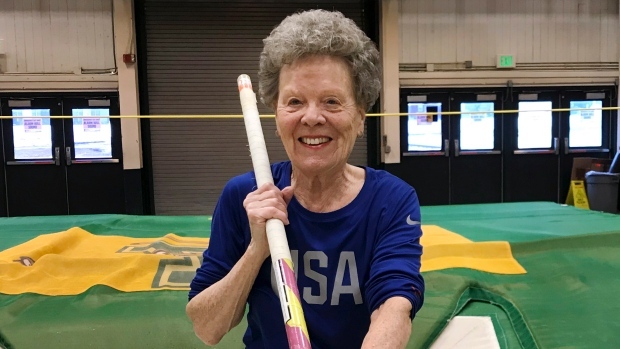 BURLINGTON, Vt. -- An 84-year-old pole vaulter isn't putting her pole down anytime soon. Meiler said she the events she likes the best are the hurdles and the pole vault -- one of the more daring track and field events, in which competitors run while carrying a fiberglass or composite pole, brace it against the ground to launch themselves over a high bar, and land on a mat. The overall world record for women's pole vaulting is 16.6 feet (5.6 metres), according to the International Association of Athletics Federations.